This mission is a scheduled flight of the Planetary Science Division, designated a Large Strategic Science Mission, and funded under the Planetary Missions Program Office's Solar System Exploration program as its second flight. It is also supported by the new Ocean Worlds Exploration Program. Europa Clipper will perform follow-up studies to those made by the Galileo spacecraft during its eight years in Jupiter orbit, which indicated the existence of a subsurface ocean underneath Europa's ice crust. 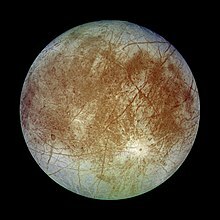 Plans to send a spacecraft to Europa were initially conceived with projects such as Europa Orbiter and Jupiter Icy Moons Orbiter, in which a spacecraft would be injected into orbit around Europa. 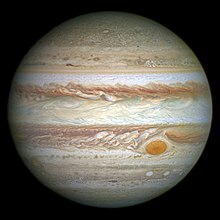 However, due to the strong impact of radiation from Jupiter's magnetosphere in Europan orbit, it was decided that it would be safer to inject a spacecraft into an elliptical orbit around Jupiter and make 45 close flybys of the moon instead. The mission began as a joint investigation between the Jet Propulsion Laboratory and the Applied Physics Laboratory. Their semi-major axes (distances from Jupiter) range between 22.9 and 24.1 Gm, their orbital inclinations between 164.9° and 165.5°, and their orbital eccentricities between 0.23 and 0.27 (with one exception). Io Volcano Observer (IVO) is a robotic space exploration mission concept that, if approved and launched, would orbit Jupiter and perform at least nine flybys of Jupiter's moon Io. IVO has been proposed to NASA by the University of Arizona and Johns Hopkins University's Applied Physics Laboratory as a Discovery-class mission in 2010 and 2015. IVO can also be a contestant for the New Frontiers program. IVO was originally part of NASA's Discovery & Scout Mission Capability Expansion (DSMCE) concept-study program in 2009. On 25 August 2012, data from Voyager 1 indicated that it had become the first human-made object to enter interstellar space, traveling "further than anyone, or anything, in history". , Voyager 1 was moving with a velocity of 17 kilometers per second (11 mi/s) relative to the Sun.